We produce 20 000 ton of delicious fruits a year, and the quality and flavour of our produce is appreciated by consumers around the world. 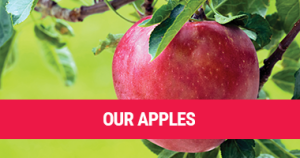 We provide fresh fruit all year round thanks to modern cooling facilities able to accommodate 20 000 ton of produce, and equipped with an atmosphere control and DCA – Dynamie Controlled Atmosphere system. 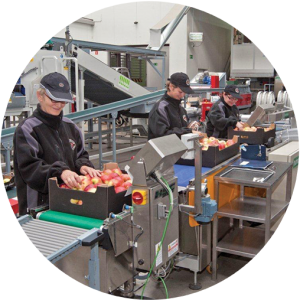 Everyday, we sort, pack and deliver 100 ton of fruits to our clients, because of modern sorting lines with hydro-unloading system, which enables us to accurately sort fruits in steps of 1 millimetre. 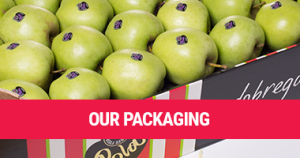 We export our fruits to many markets, which is why we are very familiar with exporting policies and procedures operational in various countries. Our clients vary from the biggest retail chains, to small distribution companies.